the fast-flying milligram-size particles that could spell instant death if they collide with the vehicle. With three of Pluto‘s four moons having been discovered in the last five years, scientists have a hunch there are likely more still hidden. Due to these new additions, a group of experts recently convened to analyze the hazards New Horizons might face. After determining the threat was real, they discussed how to avoid it. According to scientists a harder look at the challenge could make a significant difference. 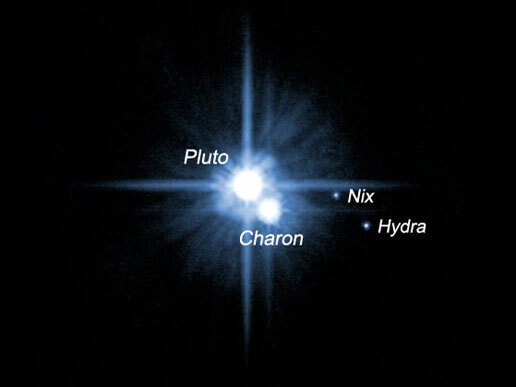 Continuing to study the system with the Hubble Space Telescope, as well as several ground-based telescopes, could help reveal other hidden moons and their orbits well before New Horizons arrives. They also said that If there are moons too small, meaning too faint, then they won’t find them.